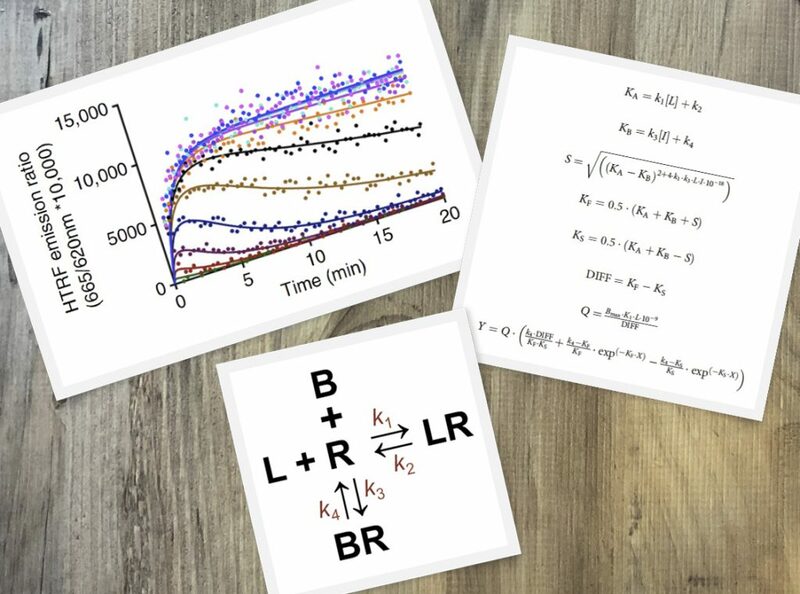 We have extensive experience of utilizing competition association assays in both radioligand and time-resolved fluorescence resonance energy transfer (TR-FRET) formats. Assays are medium throughput (384 well), capable of performing fragment screening. We have experience on a range of target classes, including GPCRs, enzymes and protein-protein interactions. Press Release: Cisbio and Excellerate Bioscience partner on ligand kinetic binding services.